Take a look through our Frequently Asked Questions for some quick answers to common questions. 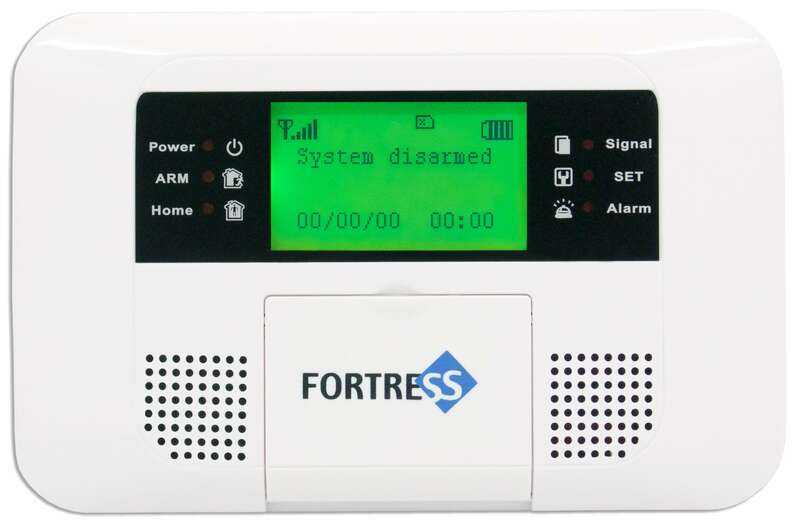 Which Fortress alarm system do I have? This article is a reference to assist existing customers to identify which Fortress product line(s) they may have. Each picture corresponds to the text directly above that image. How can I find the user manual for my alarm system? Here are the direct links to the User Manuals for our various systems (both current and legacy). My alarm system is frequently giving me false alarms. What should I do? Total Security systems include a Zone Setting called "Smart," which you can use to help prevent false alarms. The "Smart" mode will only trigger an alarm when the panel receives a signal from that sensor twice in a short amount of time. Some settings even allow your sensors to trigger an alarm when the system is disarmed. This setting is good for things like a smoke alarm, but generally not what you want for things like a motion detector or a door contact sensor. 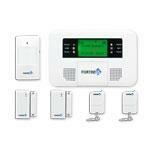 Both the GSM and the Total Security systems have features that arm and disarm the system at scheduled times. Please refer to this article for the steps to change the Auto Arm feature. Please refer to this article for the steps to change the Timely Arm feature. Sometimes, the false alarms may be reported from the same Zone repeatedly. If this is the case, it can help you narrow down if a sensor needs to be placed differently or if a battery needs to be replaced. If you have confirmed that the Zone number that is alarming is the same every time, you can skip testing sensors in any other Zone. Not detecting motion from outside, through a window or open space. Not pointed at a central heating duct (rapid temperature change in a concentrated area can trigger the infrared sensor). Not detecting movement from any rodents in the house, or any pets you may own. 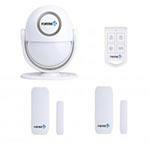 If you own pets and do not currently have Pet-Immune Motion Detectors, please contact us and we can assist you. Note that Pet-Immune motion detectors will still detect larger animals (generally over 50 lbs.). Make sure that any Door/Window Contact Sensors are placed within 1/4 inch of their corresponding magnets when the door or window is closed. In some cases, some of the sensors can begin to trigger false alarms as the batteries get low, even before the low battery indicator is lit. 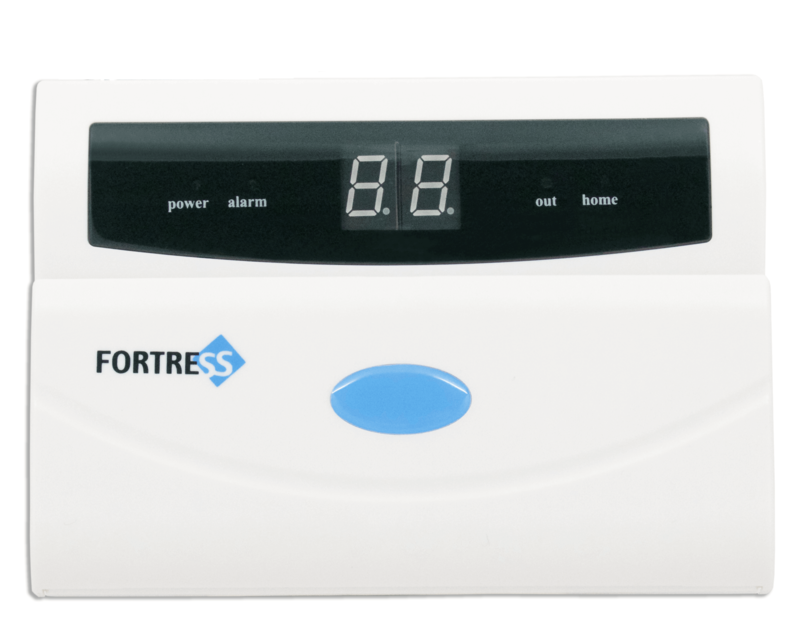 If you are experiencing frequent false alarms from a single sensor, we recommend replacing its battery. We have found that various different interfering signals can sometimes inadvertantly trigger the alarm, or cause other strange behavior in the alarm system. How can I change the RFID Keypad's passwords? 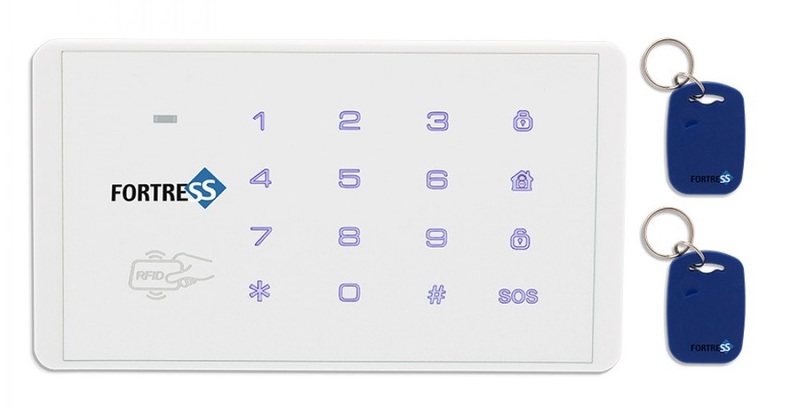 The RFID keypad has its own 6-digit Admin password and 4-digit User password. These passwords should be set to match whatever is currently set in your main panel, so that the commands from the keypad will be accepted by the main panel. The default Admin Password on the RFID Keypad is 123456. The default User Password on the RFID Keypad is 1234. To update the passwords for the RFID keypad, follow the instructions below on the keypad itself. Enter your current 6-digit Admin password, followed by #. Enter the number 8, then enter your new 6-digit Admin Password, followed by #. Enter the number 7, then enter your new 4-digit User Password, followed by #. How can I update my credit card information online? To update your credit card on file for one or more SIM card subscriptions, you can follow the steps below. Note: This is currently only available on the full desktop version of the site (not on the mobile site). Log in to the web site using your email address and password. Navigate to the "Recurring Subscriptions" tab. Locate the SIM card in the list (you may have more than one). On the right-hand side of the page, click on "Edit." On the next page, click on "Change Credit Card Details." On the next page, enter your new credit card details, and save your changes. What are all the new features in the S6 Titan system? 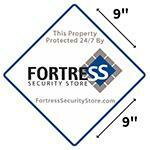 The S6 Titan Security System is an upgrade to our other product line called Total Security Wifi. In essence, this new system can do all the things that the Total Security WiFi system can do, plus more! Check out all of these amazing new features of the S6 Titan (3G WiFi)! Unlike our previous security systems, the S6 Titan firmware in the main panel can be updated remotely by our manufacturers. What this means for you is that if an issue arises, there's a good chance we can fix the problem on the fly - you won't even need to replace your panel! Of course, we still have our 3-year hardware warranty in place, as well! The process for adding an accessory to the system just got even easier! Use the free mobile app on your smartphone to scan the QR code on the accessory, then specify the settings you want for that accessory, and give it a name! We've designed a completley new mobile app! We think you'll be as happy with the improvements as we are! 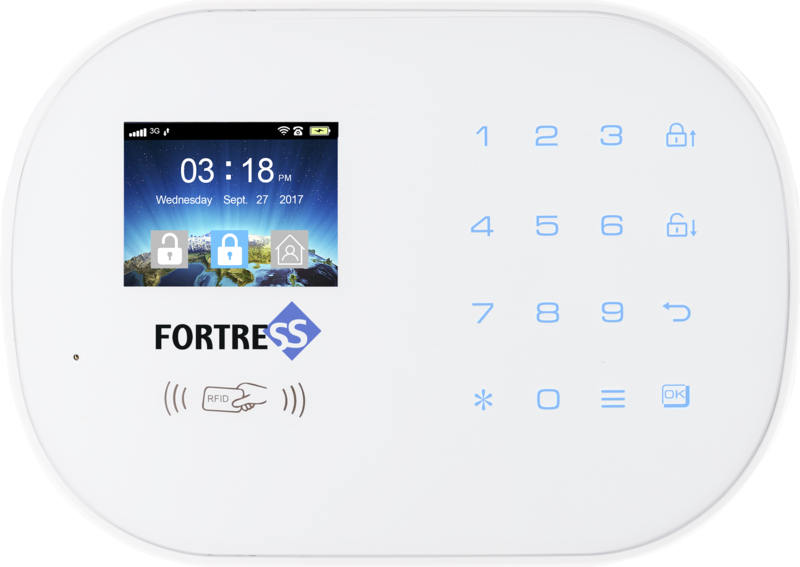 The S6 Titan Security System is able to send email alerts using a WiFi connection, or even using mobile data on a Fortress SIM card. The S6 Titan System only accepts calls from phone numbers that have already been programmed into its Contacts List - no more annoying spam callers and telemarketers interrupting your security system! Another new feature is the ability to create custom zones and give those zones names. When the alarm is triggered, it will indicate both the zone and the name of the sensor that was triggered. You can now mix and match lots of different kinds of sensors in a single zone. Each accessory has its own individual settings that don't affect the other accessories in that zone. Ready To Arm still alerts you, but now it doesn't prevent the arming of the system - so if your door is open and you're away from home, you can still arm the system successfully! In addition, each contact sensor can now have Ready To Arm enabled or disabled individually! The S6 Titan has been tested with more monitoring companies than our previous systems, and customers who are looking to use a system with central monitoring will find it easy to find a compatible monitoring company that works with the S6 Titan main panel. The best part is that Fortress Security Store plans to announce our own central monitoring service in the near future, as well! We've moved our push notification server to a US-based cloud server, and we've made other improvements to our backend infrastructure that will make the system quick and responsive for all our customers! Over time we had collected reports from customers that would indicate various issues to note with the Total Security WiFi system. We've worked hard to make sure that all of those bugs have been addressed and resolved in the S6 Titan Security System! Will my S6 Titan connect to 4G mobile data? Although you can use a SIM card from a 4G device in your S6 Titan Security System successfully, the S6 Titan Security System will not connect to the 4G cellular network. Instead, the S6 Titan Security System will connect to any nearby 3G or 2G GSM cellular towers. Additionally, the S6 Titan has the ability to connect to your existing WiFi connection, which can give you a reliable, high-speed Internet connection without the need for 4G mobile data. How can I tell if my Wi-Fi is 2.4 GHz? 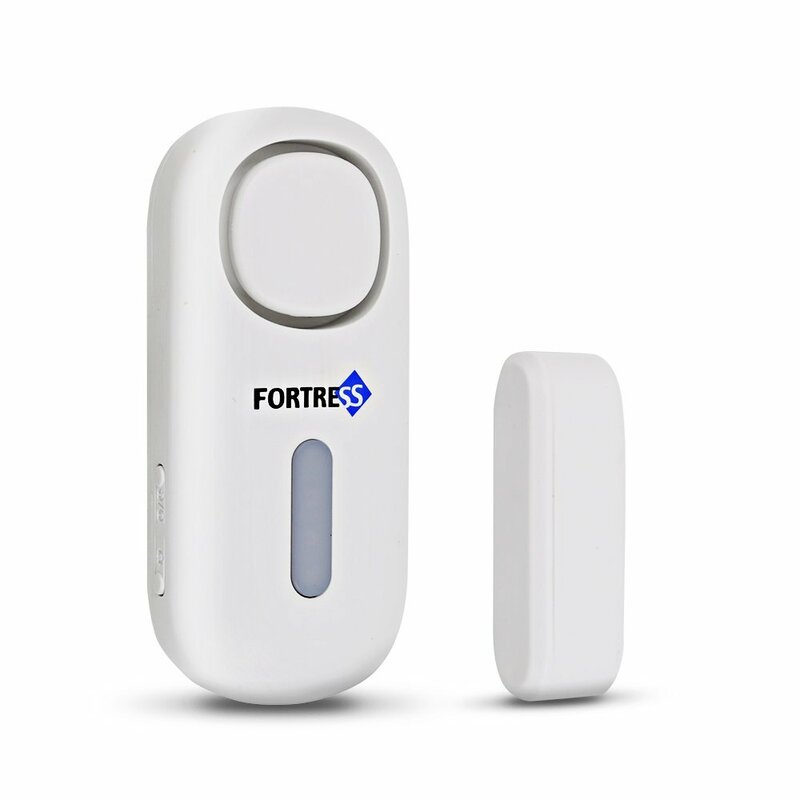 Fortress Security Store devices can only be connected to the 2.4 GHz band on Wi-Fi routers or access points (AP). All Wi-Fi routers have a 2.4 GHz band. Newer routers are often dual-band router, with 2.4 GHz and 5 GHz bands. If both of your 2.4 GHz and 5 GHz Wi-Fi bands have the same name (SSID) and password, you will need to separate these two networks with different names (SSIDs) in order to connect your smartphone to the 2.4 GHz network specifically. To find out whether you need to connect to a different Wi-Fi network to set up your Fortress Security Store device, go to Settings>Wi-Fi (or Wireless & Networks) on your smartphone. How many Wi-Fi networks do you see that belong to you? I see ONE network: If you only see one Wi-Fi network name that belongs to you, you can refer to the user manual or documentation for your router or access point to find the steps for separating these network names. I see TWO or more networks: If you see two or more Wi-Fi network names that belong to you, then one may be a 5 GHz band. Please continue reading the article below Image 1. 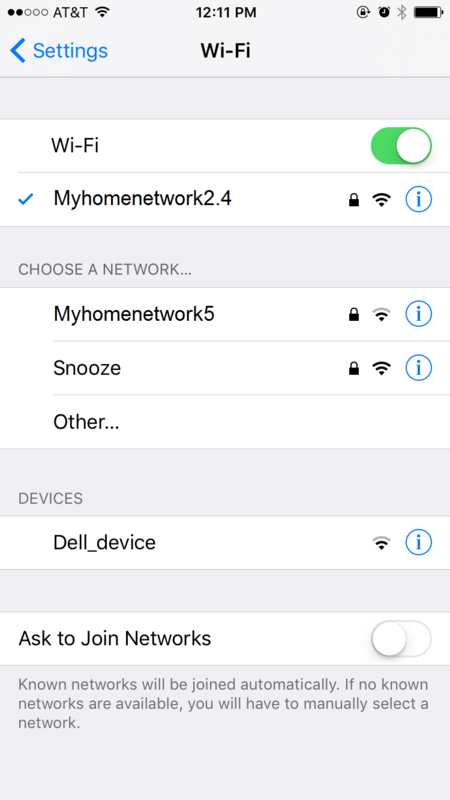 IMAGE 1, Example of ONE Wi-Fi network: As seen in the iPhone Wi-Fi settings below, this is an example of only one Wi-Fi network name that belongs to the user, "Myhomenetwork." 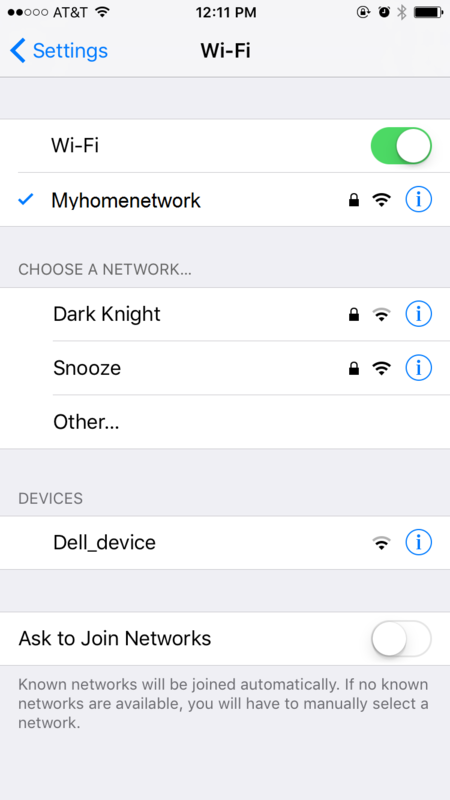 The others (Dark Knight and Snooze) do not belong to the user, and he cannot connect to them as they are password protected. I have more than one network name that belongs to me. How do I identify my 2.4 GHz band network? From your smartphone's Wireless settings page, look at the names of your Wi-Fi networks. A 2.4 GHz network may have "24G," "2.4," or "24" appended to the end of the network name. For example: "Myhomenetwork2.4"
A 5 GHz network may have "5G" or "5" appended to the end of the network name, for example "Myhomenetwork5"
What about Guest networks or other network names? If your Internet Service Provider (ISP) set up your network, they may have set one of your network bands as "Guest" or a different name. You may need to log in to your Wi-Fi router to see which name is associated with which Wi-Fi band. How do I log in to my Wi-Fi router? Once you log into your router, look for the Wireless settings. Here you can see the name of your Wi-Fi bands and the passwords. If you need any help, please feel free to contact our Support team directly. 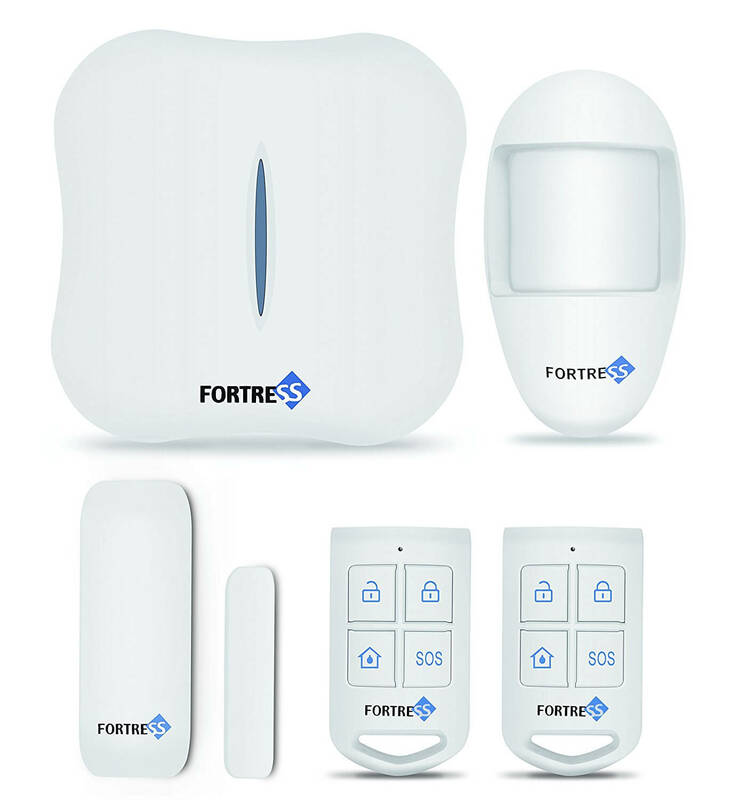 Where can I find the free mobile app for my Total Security WiFi system? 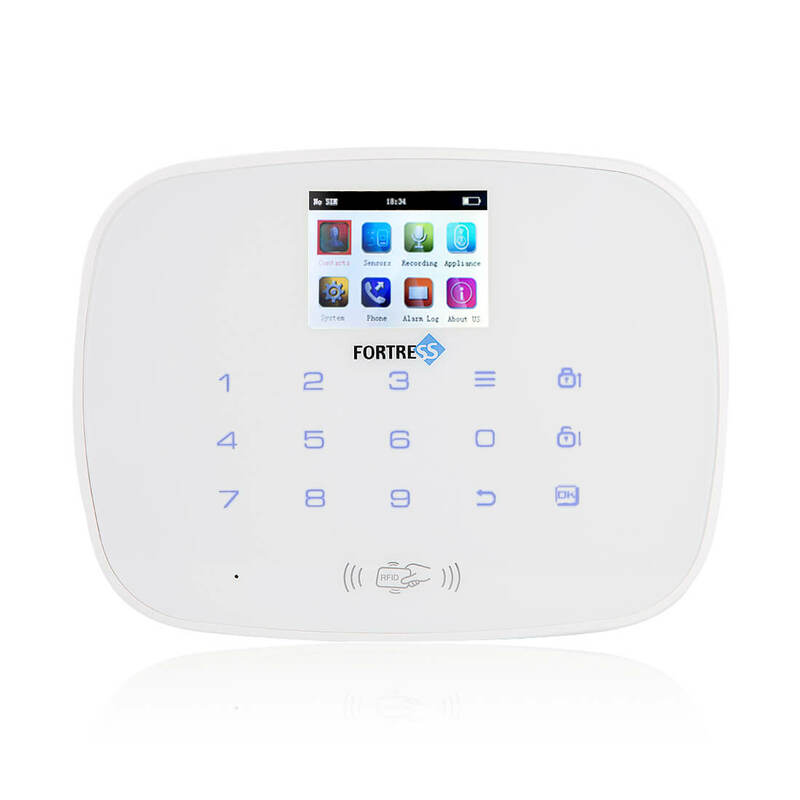 The Total Security WiFi system works with smartphone apps available for iPhones and Android phones. The app is available in the iTunes store and the Google Play Store. How can I connect my Total Security WiFi system to my land line phone? 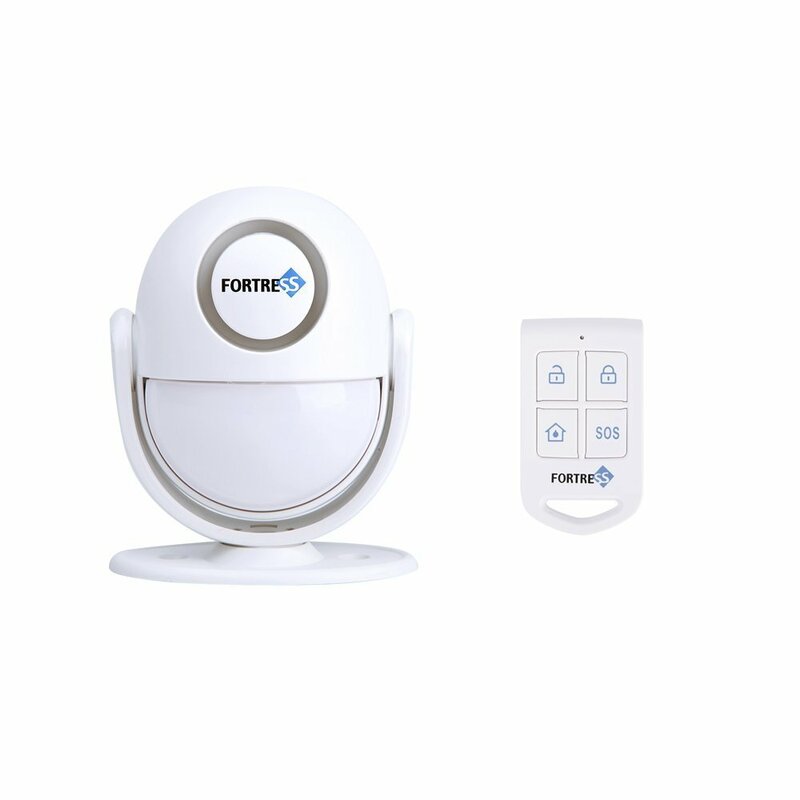 This article contains instructions for connecting your Total Security WiFi system to your land line phone. The system has 2 wired ports on the back of the main panel, labeled "TEL." Included in a new kit you will also find a land line phone cable that you can use. Strip the wires off of one side of the phone cable, and then insert the 2 wires into the 2 ports on the back of the panel. Tighten the screws to make sure the wires will stay firmly connected. Plug the other end of the cable into your phone jack (from your wall, your modem, or wherever you get dial tone from). If the system does not call out over the land line (or you are unable to call inbound to the system), try switching the 2 wires so that they are plugged into the opposite ports, and then test again. If you are still experiencing issues with the land line connection after checking these steps, please contact our Support team directly. Note: Do not use a DSL phone line to connect your alarm system. How does the BUS bar on the Total Security WiFi panel work? The Total Security WiFi panel has a BUS bar consisting of 5 ports: two ports for a land line phone connection (labeled "TEL"), and 3 ports for wired sensors: 51, GND, and 52. The ground port labeled "GND" is shared between both Zones. 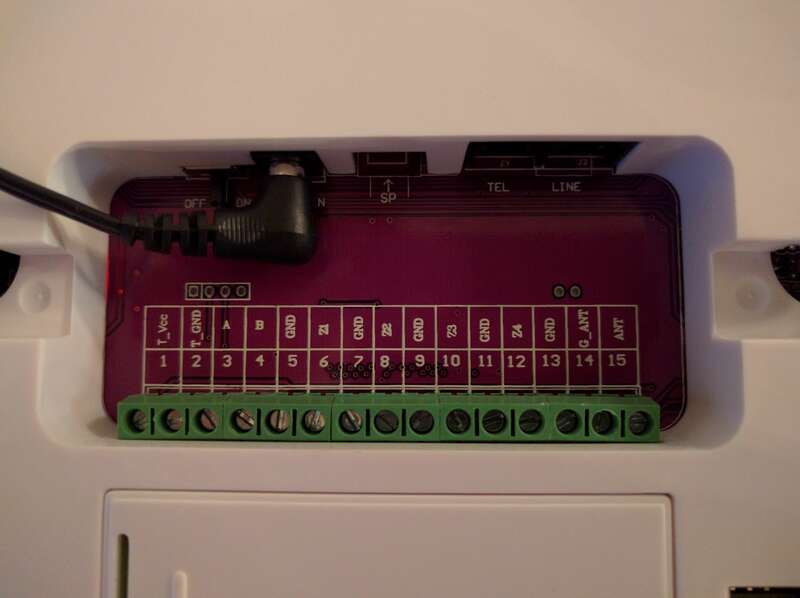 You can connect any existing wired sensors you may have to these ports, and then if any wired sensor is triggered, either Zone 51 or Zone 52 will be triggered in the system. To connect a 2-wire circuit, put the signal wire into one of the numbered ports, and put the ground wire into the GND port. Your wired sensors will need to have their own separate power source. More than one sensor can be wired on the same circuit, and all sensors on the same wire will share the same Zone number. There is no programming required for wired zones. Simply connect the wires to the BUS bar in the back, and then the wired sensors are ready to use. NOTE: We have two similar systems, the Total Security and the Total Security WiFi. If your system does not include the 2 ports labeled TEL, then you have a Total Security panel instead. We have a separate article for the Total Security BUS bar, located here. I cannot arm the system in Home mode when pressing the Arm button on the main panel. What should I do? If the system has an Exit Delay programmed, then when you press the Arm button on the panel the first time, the Exit Delay begins its countdown. Pressing Arm a second time should then arm the system in Away mode, and then allow you to press the Arm button a third time to arm in Home mode. Instead, when you try to press the Arm button the second time, the Exit Delay continues, and does not allow you to skip it, or arm it in Home mode. If you do not need an Exit Delay, you can change that to 0 seconds, and then the system will allow you to arm in Home mode from the panel directly. If you need to keep the Exit Delay, you can continue to use other methods to arm the system in Home mode, such as using the free mobile app, or a remote key fob. Why can't my GSM panel make or receive calls or texts? If your GSM panel is unable to make or receive calls or text messages, there may be a few possible causes. The following troubleshooting steps can help resolve that issue. If you are using a land line, does that land line have dial tone? If you are using a SIM card, is the account still active with minutes available? Is your account with the phonr provider in good standing currently? Note: In this case, the GSM panel might still be able to receive inbound calls successfully. Have you recorded a message for the system to play on an outbound call when the caller answers? Are you receiving a strong signal from the cellular tower(s) in your area? If these steps do not resolve your issue, please contact Customer Support for further assistance. Why is my GSM system alarming when I didn't arm it? This article is part of a larger troubleshooting article, "My alarm system is frequently giving me false alarms. What should I do?" If your GSM system is triggering the alarm when you did not arm the system, one cause may be that the Timely Arm feature could have been set accidentally. 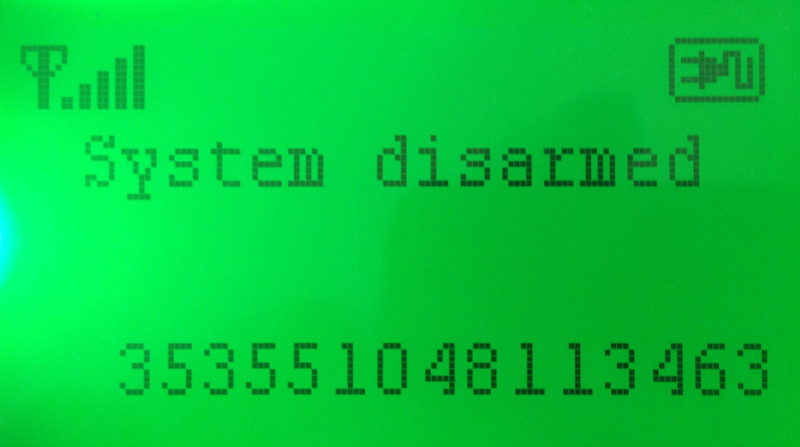 If the Timely Arm feature is enabled, the system will arm itself at a specified time of day. Here are the programming steps to enable or disable the Timely Arm feature. On the Main Panel, enter your 6-digit SET password, then press Enter. Scroll left/right to the "Time" screen using the "4" or "6" keys, then press Enter. Scroll left/right to the "Timely Arm" screen, then press Enter. If a value between 00:00 and 23:59 is shown, then the Timely Arm feature is currently enabled. To DISABLE the Timely Arm feature, enter any invalid time that is outside of the 24-hour format. For example, entering "24:01" would disable the feature. To ENABLE the Timely Arm feature, enter a time of day in 24-hour format The system will arm automatically every day at that time. If the Timely Arm feature was not enabled, or if disabling the Timely Arm feature did not resolve the issue, please refer back to "My alarm system is frequently giving me false alarms. What should I do?" or contact our Customer Support team. How can I find my GSM panel's IMEI number? If you are using the GSM system with a SIM card, the provider of the SIM card may require you to activate it before it can be used. Typically they will ask for an IMEI number of the device that the SIM will be used in. Each panel's IMEI number is unique. 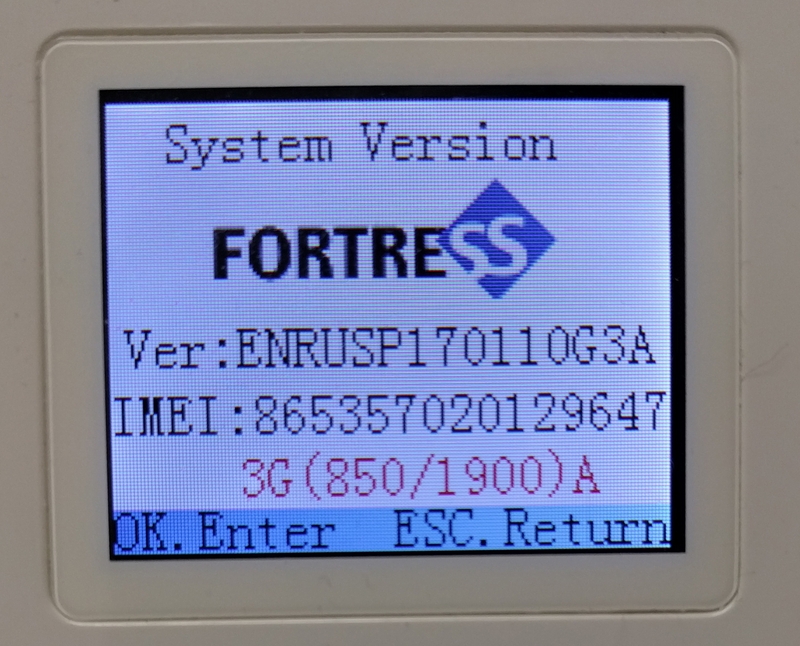 To find the IMEI number on the GSM panel, press 0, 1, then Enter. The IMEI number for the panel will then display on the screen, as seen below. How can I get better cellular signal to my GSM panel? 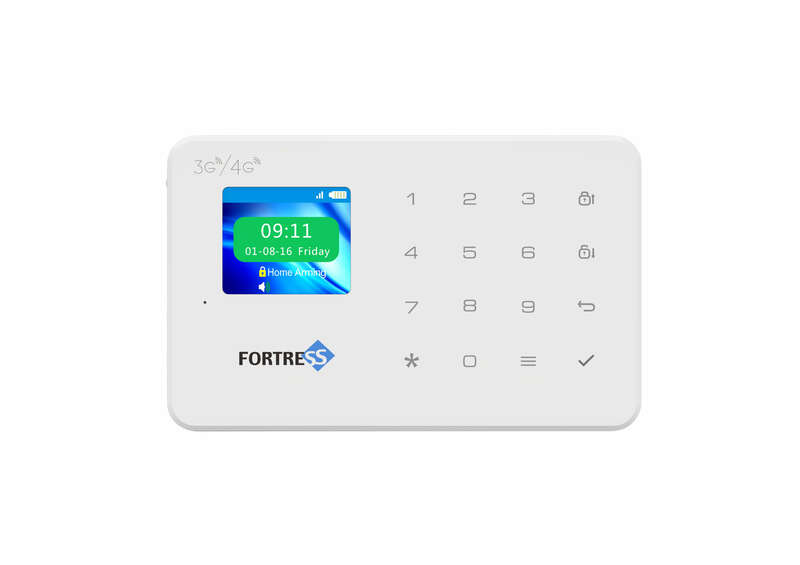 The GSM Alarm System main panel includes ports on the BUS panel on the back which allow you to connect a more powerful antenna to the panel. This will often increase the effectiveness of the system in picking up signal from nearby cellular towers. Ports 15 and 14 (ANT and G_ANT) are for an antenna and a ground cable, respectively. You can use a 6.24-inch length of copper wire (900 MHz, half-wavelength) to make an antenna, and connect it to Port 15. Make sure the length of the copper wire is as close to exact as possible. Below, for your reference, is a picture of the BUS bar on the back of the main panel. How do I change the language settings on the GSM main panel? The GSM system has the ability to select different languages for the main panel's interface. If the language is ever changed to an unrecognized language, it can be difficult to navigate back to the menu to select a recognized language again. This article shows how to navigate to the Languages menu on the GSM panel, in order to select a recognized language. Enter your 6-digit SET password, and press Enter. Scroll to the left once, using the number 4 key. You will see a wrench icon. Press Enter. Scroll to the left 6 times. This is the Language selection screen. Press Enter to select a different language. Once you have selected a recognized language, press the ESC key to back out to the home screen. Where can I find the mobile app for my Total Security alarm system? The Total Security system works with smartphone apps available for iPhones and Android phones. The app is available in the iTunes store and the Google Play Store. How can I find my Total Security panel's IMEI number? If you are using the Total Security system with a SIM card, the provider of the SIM card may require you to activate it before it can be used. Typically they will ask for an IMEI number of the device that the SIM will be used in. Each panel's IMEI number is unique. To find the IMEI number on the Total Security panel, access the Main Menu, then navigate to the About Us icon and press OK. The IMEI number for the panel will then display on the bottom-left corner of the screen. How do I change the language settings on the Total Security main panel? The Total Security system has the ability to select multiple different languages for the main panel's interface. If the language is ever changed to an unrecognized language, it can be difficult to navigate back to the menu to select a recognized language again. This article shows how to navigate to the Languages menu on the Total Security panel, in order to select a recognized language. Unlock the keypad (if needed) by pressing the Menu button [three horizontal lines], and entering your 6-digit Admin password. Press the Menu button again to open the main menu. Scroll down 4 times. This will select the icon with the symbol of a gear. Press OK.
Scroll down 8 times. This will select the icon with the symbol of the globe. Press OK. This is the Language selection menu. Scroll up or down to select a recognized language, then press OK.
Press the Back button to return to the home screen. 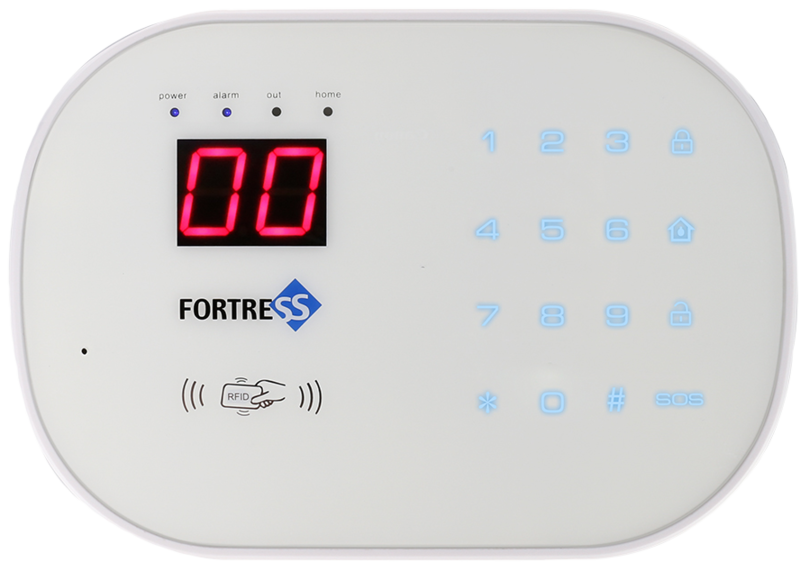 The Total Security Alarm System has a total of 99 Zones, each of which can be programmed with different Attributes. These Attributes will determine the behavior of any and all sensors in that Zone. Note that the Total Security system can be armed in two modes, the "Armed" mode, and the "Stay" mode. Sensors are active when armed in Armed or Stay mode, and inactive when Disarmed. and inactive when in armed in Stay mode, or when Disarmed. 3 - Smart This Attribute requires a sensor to be triggered 2 times within 3 seconds before setting off the alarm. This is a great feature for helping to prevent false alarms. 4 - Emergency Sensors are active when armed in Armed or Stay mode, and also when Disarmed. 5 - Disable Sensors are inactive in any state (Armed, Stay, or Disarmed). 6 - Doorbell Plays a doorbell sound when sensor is triggered in any state (Armed, Stay, or Disarmed). In this way, you can use a Panic Button as an actual doorbell. 7 - Chime Produces a chime sound when Disarmed. When armed in either mode, the alarm will sound. The remote control key fobs also get programmed to the system, in separate 'Remote Control Zones', or 'RC Zones'. 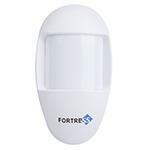 We recommend placing Motion Detectors into a Zone with Zone Attribute 2 - "Home". This way, they will be active when you're out of the house and the system is armed in Out mode, but they will be inactive when you're at home, and the system is either armed in Home mode, or disarmed altogether. We recommend placing Door/Window Contact Sensors into a Zone with Zone Attribute 1 - "Immediate". We recommend placing any Panic Buttons, Smoke Alarms, Gas Leak Detectors, or Water Level Sensors into a Zone with Zone Attribute 4 - "Emergency". On the Main Panel, enter your Administrator password, then press the Menu button [three horizontal lines]. Navigate to "Sensors", then select "Sensor". Scroll to the desired Zone, and press OK. Select the desired Attribute by entering the desired Attribute number. Press OK to save your changes. Press the Back button to return to the starting screen. Here are the recommended troubleshooting steps to take if a Door/Window Contact Sensor for your Total Security alarm system is no longer working successfully. The Sensor Light will flash on when the sensor and the magnet are separated (when the door or window is opened), then flicker off after 1-2 seconds. The same will also happen when the connection is re-established (when the door or window is closed). If the light is lit up solidly and doesn't turn off, or if the light never turns on at all when the sensor is triggered, this indicates a low or dead battery. The sensor and the accompanying magnet should be placed as close as possible to each other when in the closed position. Ideally within 1/4 inch. Place the sensor so that the magnet is closest to the side opposite the Fortress Security Store logo. The range of the main panel for the system is 150 feet. You can also purchase a Signal Repeater to increase the range of the system. In that case, the sensor would be programmed to the repeater as well as the main panel. The Signal Repeater has a range between 200 & 400 Feet. 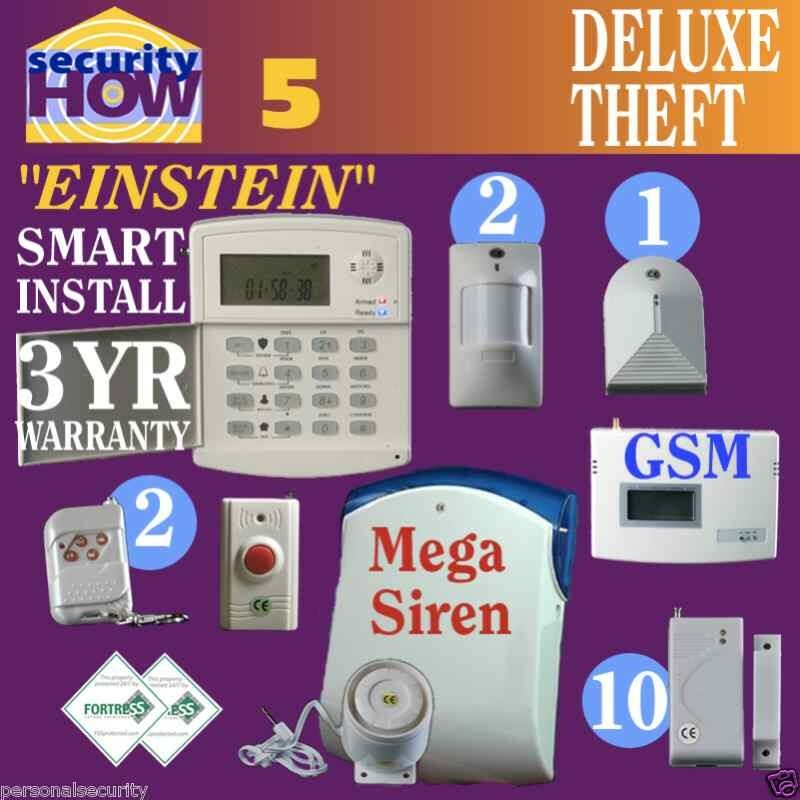 Where can I find the free mobile app for my Ani Alarm System? Where can I find the mobile app for my Vea 3G/4G GSM system? How can I find the IMEI number on my Vea main panel? Each Vea 3G/4G GSM system will have its own unique IMEI number. You may need to provide this IMEI number to your SIM card provider if you are using a third-party SIM card with the system. To find the IMEI number for your Vea system, you can navigate in the menu to "History&Version -> System Version." The IMEI for your panel is listed on that screen as shown. What are the AC power failure settings on the Vea panel? The Vea 3G/4G GSM system has a few different options available for what happens when the AC power is disconnected from the main panel. The screen of the panel will display an alert. The system will call out to any programmed phone number(s). 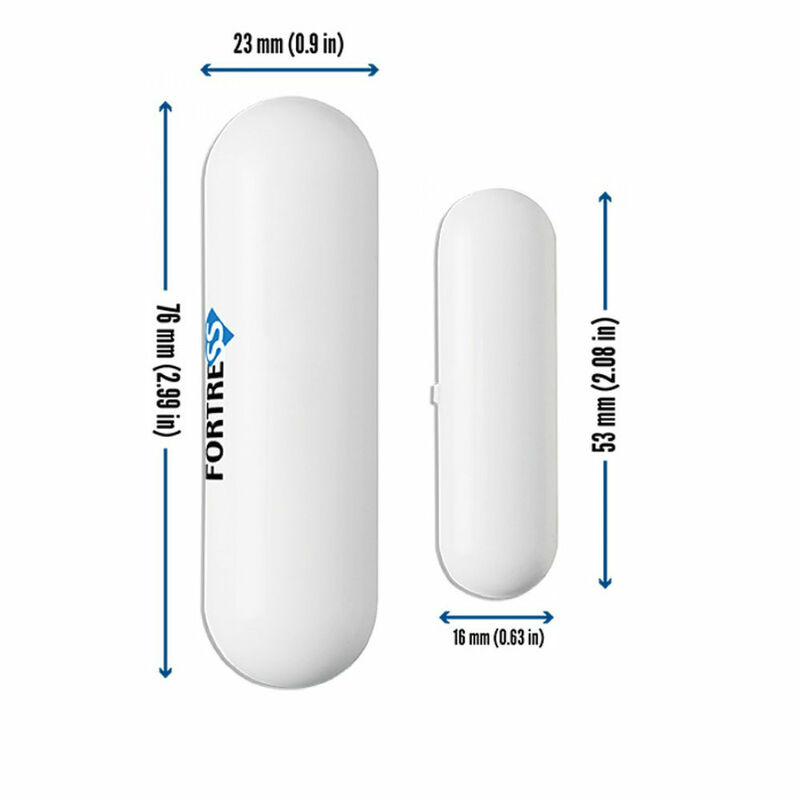 What is the range of the wireless sensors and remote fobs/remote controls? Range always depends on the environment where the system is installed. Generally the maximum range is 150 feet from the control panel. This includes through a reasonable number of walls and other obstructions. Brick or metal walls may cut the distance up to fifty percent. Is a phone line required for operation of the unit? Connecting a phone line to the OUT LINE jack will allow the unit to call the phone numbers you programmed when the alarm is triggered and allow you to call into the system remotely. If a phone line is not connected, the system will operate normally. All sensors will function and all sirens will sound when the alarm is triggered. The system will not be able to use the autodial function, however. How long do batteries in the sensors last? How do I know if the batteries are low? Where can I get new ones? The Contact Sensor for Windows or Doors, Panic Button, Remote Fob, Water Sensor, and Vibration Sensor each use one 12v 23A battery. They will usually last 8-12 months under typical usage. New batteries can be purchased from local hardware stores or from our website. Contact Sensors for Windows or Doors and similar sensors will display a solid red light when the battery is low. Replace with a 12v 23A battery as soon as possible. Simply remove the back plate from the sensor to access the battery. Standard Motion Detectors and Pet Immune Motion Detectors will show a solid white/amber light in the motion detector screen. Replace with a standard 9v battery as soon as possible. For the Pet Immune Motion Sensor, slide the battery cover off the back to access the battery. 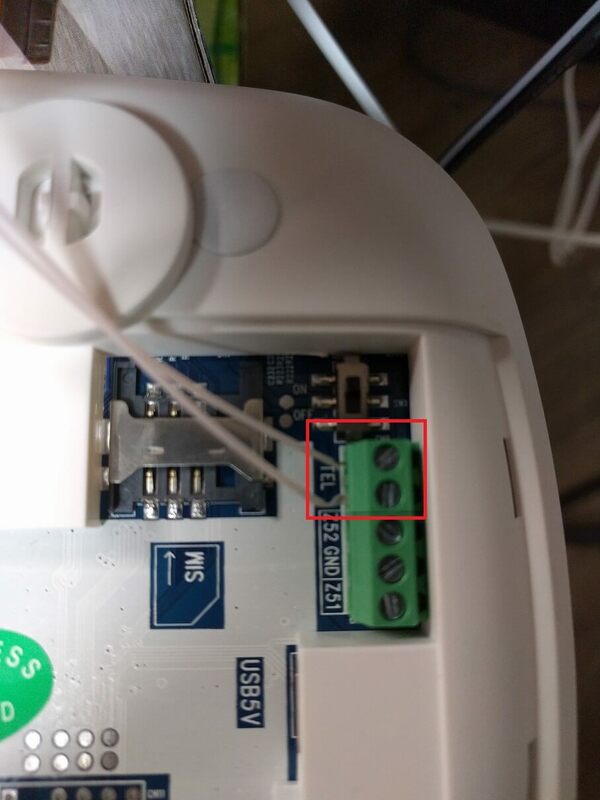 For the Standard Motion Detector, unscrew the 1 Phillips head screw on the top of the sensor and then pull the front cover away from the sensor. Batteries are always included for each sensor. By default, no sensors have delay enabled.